At Summer Consultants there is never a “typical” job. Last spring/summer we surveyed and wrote the RFPs for the replacement of fire alarm systems at 18 Army Reserve Centers throughout the Pennsylvania, West Virginia, Maryland, and Virginia region. 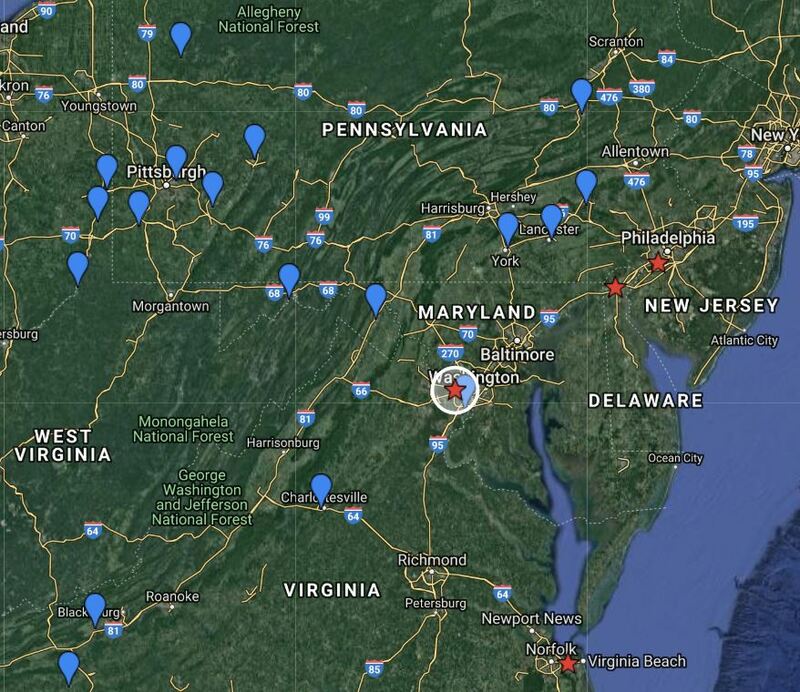 The locations varied from a reserve center in Alexandria, Virginia (the backyard of our headquarters) to Franklin, Pennsylvania in the northwest corner of the state. The scattered locations made for great multi-day road trips for team members working on the project. As construction was coming to a close our client, the US Army Corps of Engineers, requested that we participate and provide representation for the Government during all of the final testing and commissioning of the new systems. Schedules of Summer Consultants team members necessitated shuffling of who was responsible for which locations. Having a deep bench of qualified engineers made it easier on all involved.